Image caption Jewish school children, Mukachevo, Ukraine, c. 1935-38. The Jewish Museum London and The Photographers’ Gallery are staging the first UK retrospective of Russian-born American photographer Roman Vishniac (1897-1990), one of the most important social documentary photographers of the 20th century. Vishniac is perhaps best known for his widely recognised photographic records of Jewish life in Eastern Europe between the two World Wars. Born to a Jewish family and raised in Moscow, Vishniac immigrated to Berlin in 1920, where he joined some of the city’s many flourishing camera clubs. Inspired by the cosmopolitanism and cultural experimentation in Berlin at the time, Vishniac used his camera to document his surroundings. His early work reflects the influence of European modernism, with his framing and compositions favouring sharp angles and dramatic use of light and shade. 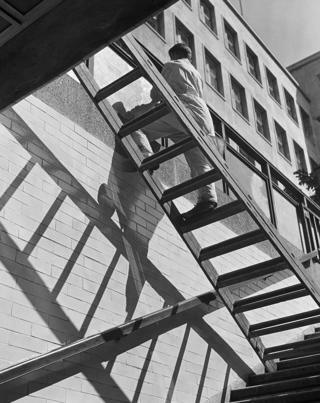 Image caption Window washer balancing on a ladder, Berlin, mid-1930s. 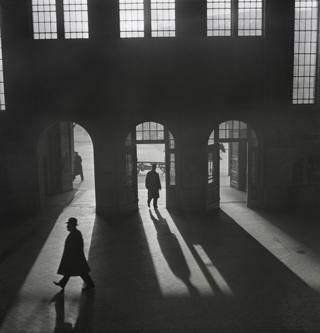 Image caption Interior of the Anhalter Bahnhof railway terminus near Potsdamer Platz, Berlin, 1929–early 1930s. Vishniac’s development as a photographer coincided with political changes occurring in Germany; his photographs provide a visual foreboding of the growing oppression of Jews and the rise of Nazism. 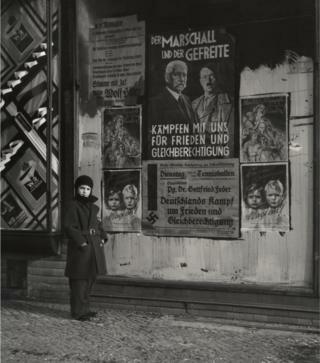 Image caption Vishniac’s daughter Mara posing in front of an election poster for Hindenburg and Hitler that reads, “The Marshal and the Corporal: Fight with Us for Peace and Equal Rights”. Wilmersdorf, Berlin, 1933. Social and political documentation quickly became a focal point of his work and drew the attention of organisations wanting to raise awareness and gain support for the Jewish population. 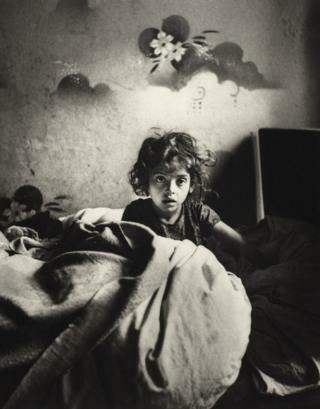 In 1935, Vishniac was commissioned by the world’s largest Jewish relief organisation, the American Jewish Joint Distribution Committee, to photograph impoverished Jewish communities in Eastern Europe. These images were intended to support relief efforts and were used in fundraising campaigns for an American donor audience. Image caption Sara, sitting in bed in a basement dwelling, with stencilled flowers above her head. Warsaw, Poland, c. 1935–37. 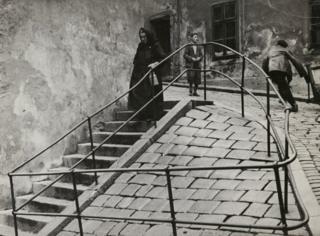 Image caption Inside the Jewish quarter, Bratislava, c. 1935–38. 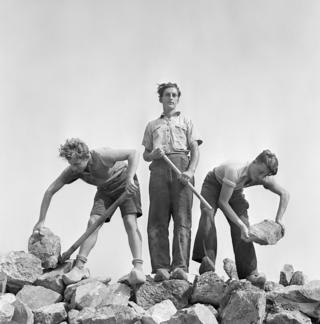 Image caption Ernst Kaufmann, centre, and unidentified Zionist youths, wearing clogs while learning construction techniques in a quarry. Werkdorp Nieuwesluis, Wieringermeer, The Netherlands, 1938–39. 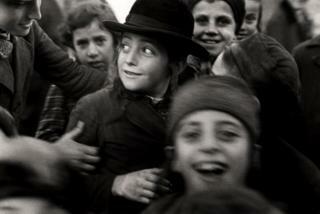 Vishniac left Europe in 1940 and arrived in New York with his family on New Year’s Day, 1941. He continued to record the impact of World War Two throughout the 1940s and 50s, with particular focus on the arrival of Jewish refugees and Holocaust survivors in the US. 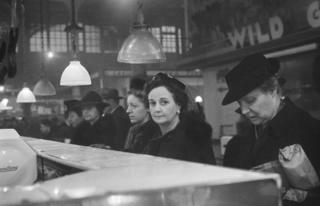 Image caption Customers waiting in line at a butcher’s counter during wartime rationing. Washington Market, New York, 1941-44. 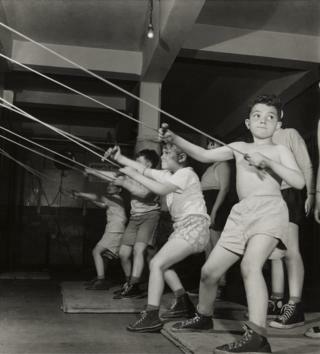 Image caption Boys exercising in the gymnasium of the Jewish Community House of Bensonhurst, Brooklyn, 1949. Roman Vishniac Rediscovered runs from 25 October 2018 – 24 February 2019 at The Photographers’ Gallery, London, and the Jewish Museum, London.